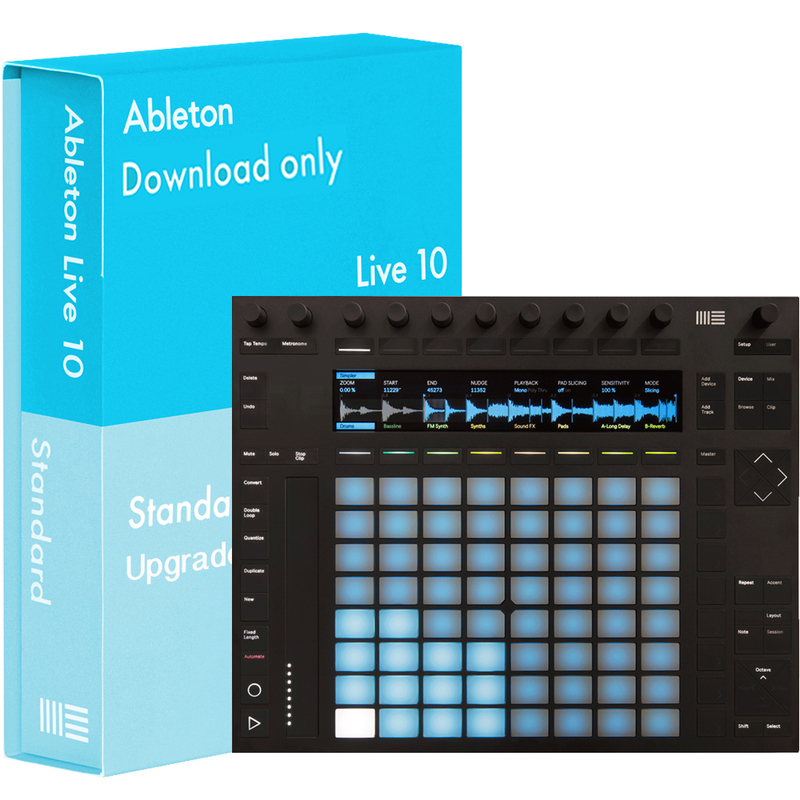 Please note: This includes the latest version of Ableton Live 10 Standard Upgrade from Intro (Intro is included with the Push 2) via download only. 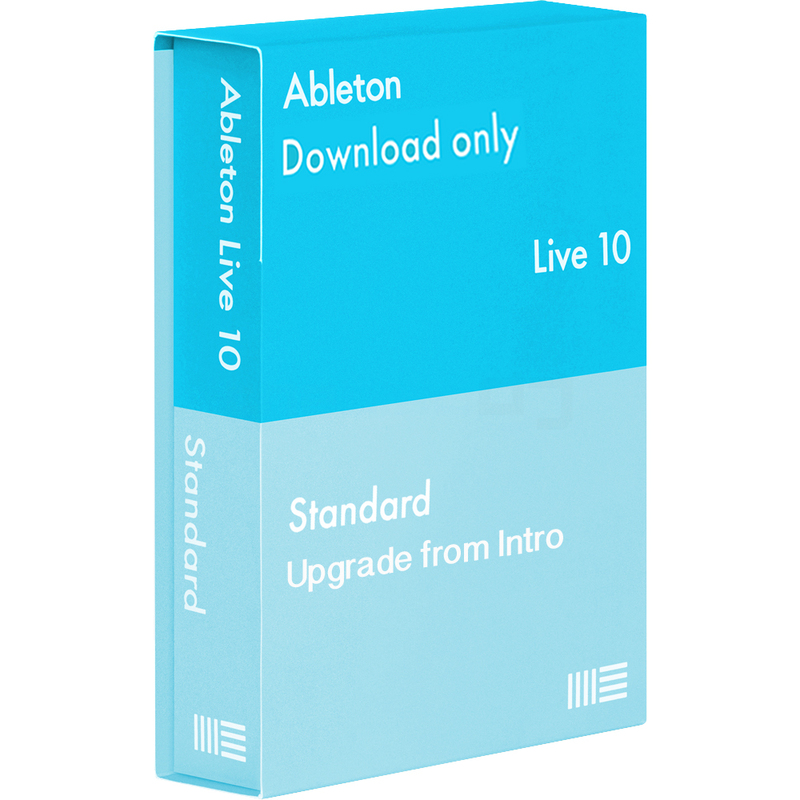 When we receive your order you will receive your serial number and download instructions direct from Ableton. Also note, once you have downloaded and registered the software you waive your right to a refund under the consumer rights regulations. Software cannot be returned under any circumstances. 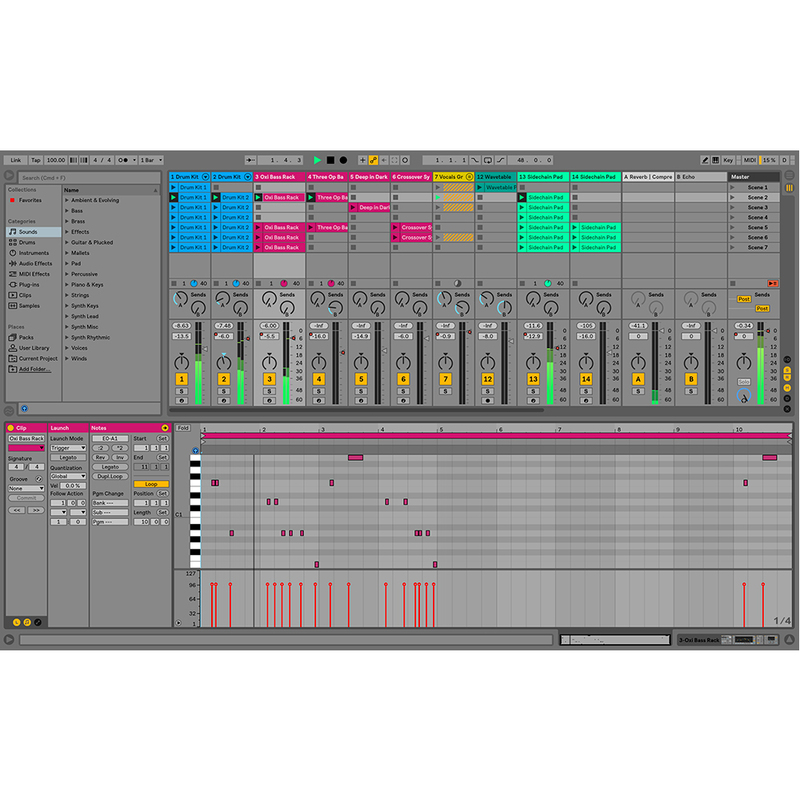 Push is now designed and engineered entirely by Ableton for a music-making experience that is as hands-on, expressive and closely integrated with Live as possible. 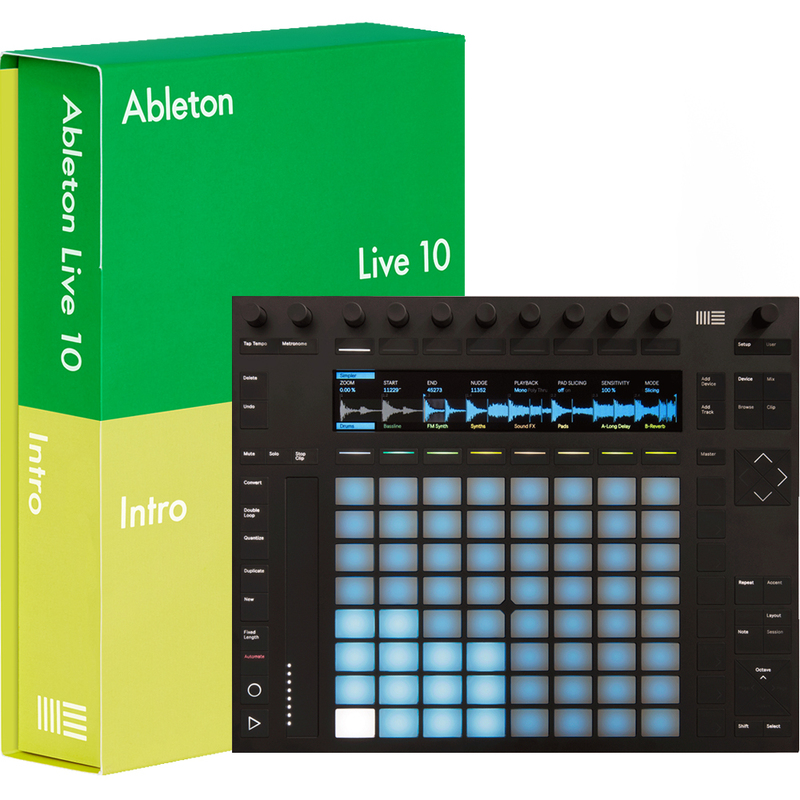 Push and Live work together seamlessly to let you make beats, play notes and chords, work with samples and develop song structure – all without needing to look at a computer. 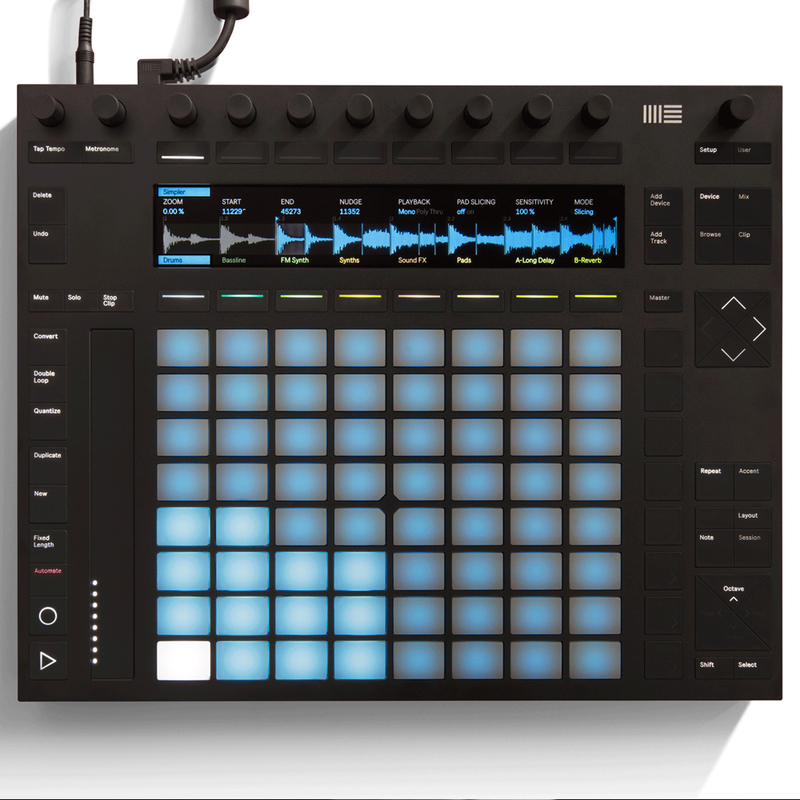 Push lets you browse, preview and load your own sounds for making beats, or access Live’s vast library of drums. 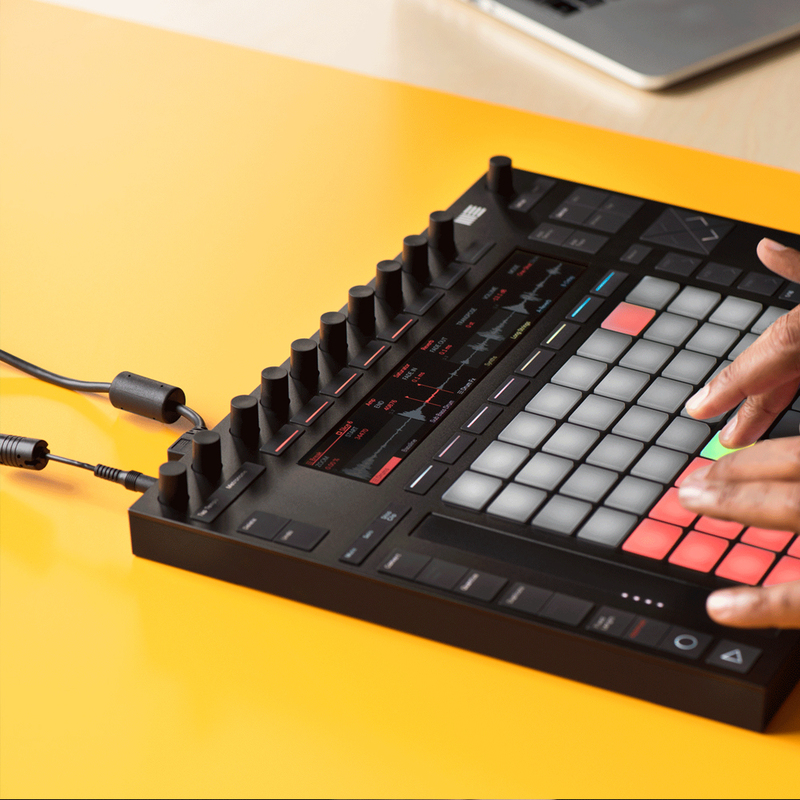 Then play beats live with the 64 velocity-sensitive pads and adjust sounds and kits while you play, using eight touch-sensitive endless encoders. Or switch to a 16-pad mode that allows you to play in real time, step sequence beats, and adjust the length of your loop, all at the same time. You can also tweak timing, velocity, and parameter values individually for each pad. Push’s pads correspond to pitches, and offer a condensed layout that encourages a fresh approach to melody and harmony: large intervals can be reached easily, and patterns can be played with the same fingerings in all keys. You can select a key and scale with the touch of a button, and Push’s touch slider can be used for pitch bend or modulation. 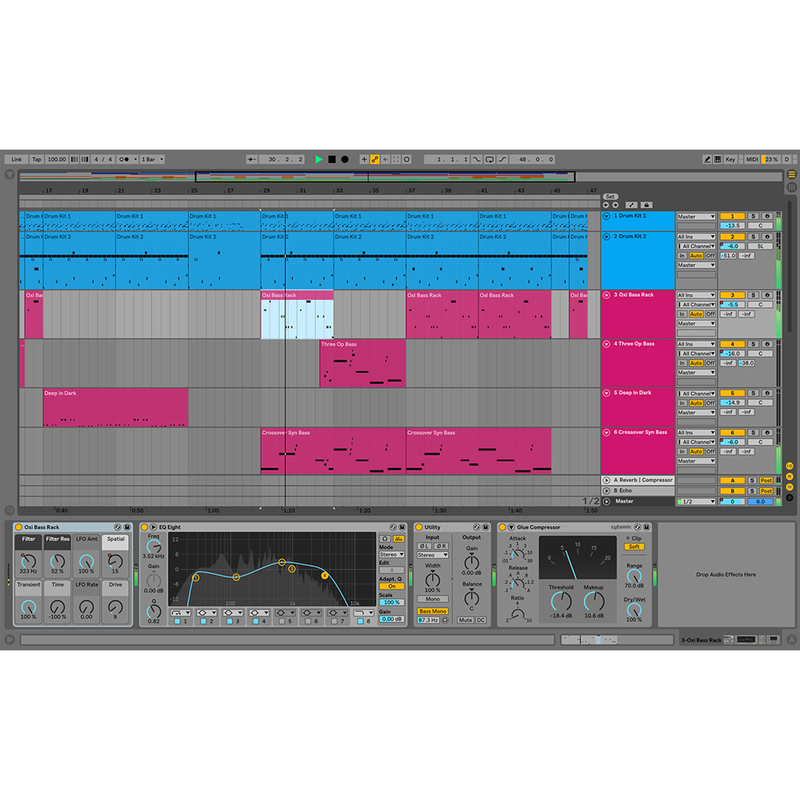 Three separate workflows offer fast and flexible ways to get creative with your samples. Slicing mode lets you instantly chop up long samples and play each slice on a different pad – ideal for rearranging loops on the fly or for creating drum kits from recorded grooves. Classic mode lets you turn melodic samples into playable pitched instruments, and you can use the encoders to define start and end points as well as attack, decay, sustain and release for each. In One Shot mode, samples play back monophonically and all the way through, no matter how long you hold the pad – perfect for playing drums. You can also transpose a playing sample without retriggering it, allowing you to transform melodic phrases into whole new melodies. Everything about Push has been carefully reconsidered to provide an improved playing experience. The multicolor display adapts to show you exactly what you need to keep you in the creative flow without adding distraction. Push’s new pads have been carefully redesigned to feel softer, smoother and more responsive – perfect for creating expressive beats and melodies. Using Push, you can launch clips and scenes, tweak device parameters and control mixer levels and sends – Live can capture every movement. When you’re ready, switch from Push to your computer to find your music already laid out in Live – the software that was powering your work the whole time. Power The Push hardware gets power from the USB port. If you would like to increase the brightness of the display and LEDs, use the included power supply.